For celebrity Makeup Artist, licensed Aesthetician, Eyebrow Specialist, International Yoga Teacher, sexual assault and domestic violence survivors advocate, and Surfer Kimberly Rosenberg — Founder of First Light Beauty and Virtue & Vixen Cosmetics, these words are far more than titles and activities; they shape & inform my entire life. Since 1998, Kimberly Rosenberg- Licensed Esthetician, Makeup Artist & Eyebrow Specialist, has been painting fresh faces for weddings and special events and sculpting beautiful eyebrows in an effective, efficient, non-invasive manner. In a world of photoshop and filters, she strives to re-define beauty by highlighting your features, focusing on less is more, and allowing yourself to be seen from the inside, out. Her artistry will leave you to photograph divinely AND look divine in person! Her lightweight application of makeup will have you questioning how she works her magic. With Kimberly's background in makeup and yoga, your experience will result in feeling your best...and your look will emanate how you feel! Kimberly has completed a RYT 200 teacher training with Eric Paskel- internationally renowned yoga teacher and founder of Electric Soul Yoga and Yoga Shelter. She is also certified by Prison Yoga Project’s Teacher Training with James Fox. Vedanta is the principle philosophy she follows in her life. Having studied in India under Swami Parthasarathy, Sunandaji- daughter and disciple of Swami Parthasarathy, she continues to invest time and effort in studying Vedanta. Peace Over Violence is a Non -profit Organization she is deeply invested in and volunteers her time as a Crisis Intervention Counselor/Advocate for sexual assault and domestic violence survivors. Kimberly’s teaching style is driven by the words of Robert Frost “the best way out is always through.” Her classes evolve from her belief that life is a passing flow of experiences and the nature of life is change. She guides you through postures to awaken your body, emotions and intellect. A journey with Kimberly is a journey of healing, moving forward, and connection; the result is internal freedom and self-sufficiency. Classes range from challenging and dynamic vinyasa to soothing and restorative yin. Her “badass” drive, determination and perseverance is met by her calming and soothing nature creating a space that is engaging, revitalizing, supportive, empowering and nonjudgmental. She facilitates peer support groups utilizing Vedanta Philosophy and the program, GOGI (Getting Out By Going In) for those working through trauma that has resulted in addictions such as eating disorders and alcohol/ drug abuse. 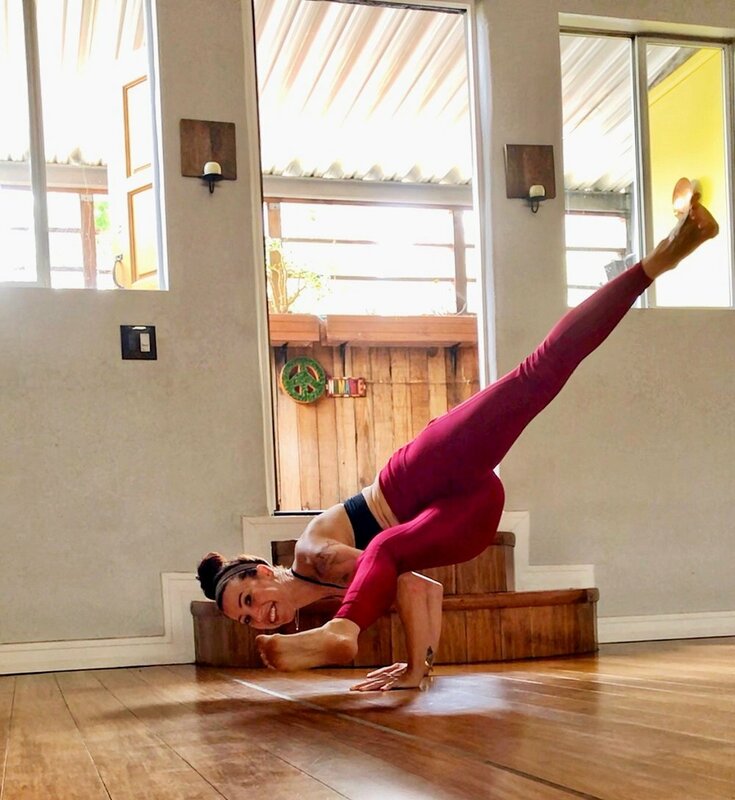 Through practicing yoga and surfing, studying Vedanta Philosophy, volunteering, and delving into the creative nature of makeup, Kimberly walks her path with greater values, simple living, and rad connections! She looks forward to sharing and connecting with you!